Formentera. 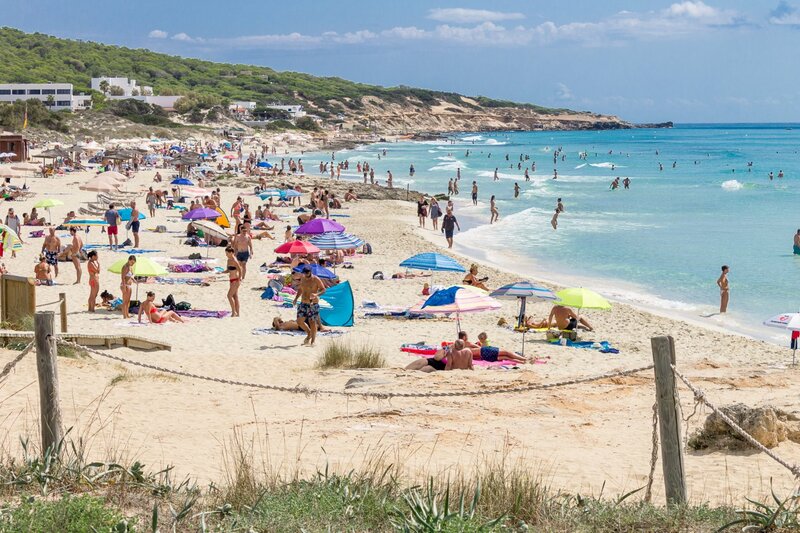 Formentera is all about its beautiful beaches: white sand and the clearest waters imaginable make it the perfect relaxing beach paradise. The beaches of Formentera are simply beautiful. If you want a beach holiday, this island is among the world's finest places to relax and forget about everything. Sparkling white sand and crystalline waters that fill you with awe will transport you to a feeling of pure paradise. It's true to say that these beaches rival any of the Caribbean, to which they are often likened. In fact, the locals say that they are much better, with water that's gorgeous and utterly refreshing to bathe in. Certainly, you will feel that you are on some of the most spectacular beaches you have ever been on. Plus, you can take your pick of long and sweeping or small and deserted all of which really does make Formentera the island of dreams.